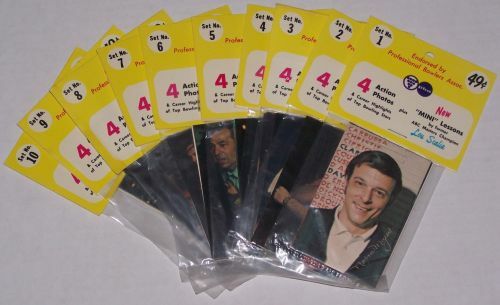 This set of bowling cards was produced in 1971 and endorsed by the Professional Bowlers Association (PBA). The set consists of 10 numbered, unopened packs of cards with a 10 card insert set called “10 Mini Lessons” by Lou Scalia. Each card back has the bowler’s name, home town, height and weight, plus a short biography.